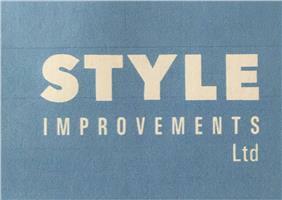 Style Improvements Ltd - Fascia/Soffits/Guttering, Windows/Doors/Conservatories based in Fair Oak, Hampshire. Thank you for visiting our Checkatrade page - Style Improvements is a friendly family run company with over 35yrs combined experience and we are proud to state that we have existed in the form of the same family run Limited company since 1990. We specialise in all aspects of glazing including windows, doors, conservatories, replacement conservatory roofs, roof lanterns, orangeries, porches, shop fronts, roof line products. Our spheres of operation are trade, domestic & large scale commercial contracts for local and national contractors. We are FENSA registered and offer company and insurance backed warranties as standard. Please contact us for a free no obligation quote and we will be happy to advise you on your proposed project, we look forward to hearing from you.